Responsive websites represent an entirely new construction technique, detecting the device that is being used for access and delivering an optimized version of fluid content for that particular device and resolution. 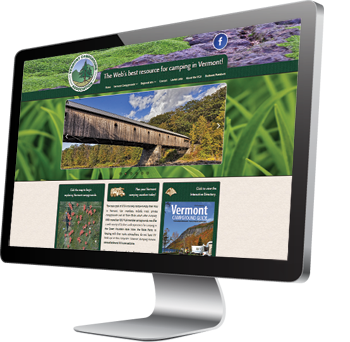 Our responsive websites are designed to be optimally viewed on any device, from smartphones to desktop computers. There is no need for the expense and hassle of separate mobile content. The conventional websites that most people are still building are viewable on mobile devices but present far less than a pleasant experience on smaller displays. We build sites that go beyond simple functionality, wowing visitors with content, style and presentation that are far outside of the ordinary. Our sites represent sound long-term investments, rather than money spent in the pursuit of outmoded technology. Let’s face it: Anybody can build a website. Your son or daughter, the kid down the road, a part-time employee, and some very big companies that don’t know your name but know where to find your wallet. We’re different. We are not here to build a site then disappear. We are here for the long haul, prepared to build your company a website that will serve as the cornerstone of a highly effective new branding and marketing strategy. Watch our video, below, to learn more about our responsive website development services. * “Routine site updating” includes price changes, schedule changes and new content to existing pages. This term does not include new content which takes the form of additional pages or site re-designs. The Internet is a vibrant marketing environment that is well-traveled by people who have seen it all and who have little patience with the run-of-the-mill. There is little tolerance and no excuse for spelling mistakes, broken hyperlinks, weak graphics, slow load times, or content that will not display properly on the latest mobile device. The primary purpose of most small business websites is to generate commerce in one form or another. We know how to generate website traffic, and then take that traffic to a site that is carefully designed to convert that traffic into sales. Whether your small business is located across town or across the continent, if you share this marketing philosophy and an understanding of the Internet’s amazing potential, we encourage you to contact Pelland Advertising for a free, no-obligation consultation.